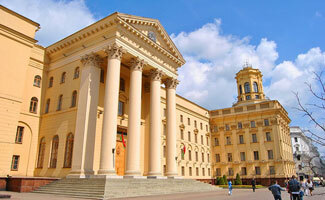 Minsk is the capital of Belarus and has countless fascinating attractions. You should definitely check out the KGB building first. The ominous yellow building occupies an entire block and features austere neoclassical architecture. Across the street is one of the only statues left standing of terror monger Felix Dzerzhinsky, who formed the Soviet State Security Forces (or Cheka). They were known for torture and mass executions. Step back in time and drive by the former residence of Lee Harvey Oswald. The accused murdered of President John F. Kennedy spent a number of years in Belarus where he married a Minsk woman, had a child, and even changed his name to Alec. A quick day trip south of the city to Dudutki will land you at the Dudutki Open Air Museum where you can take in true Belarusian culture. The museum gives tourists a look into the history of the country (which is still very young) with still-working 19th century farmhouses. 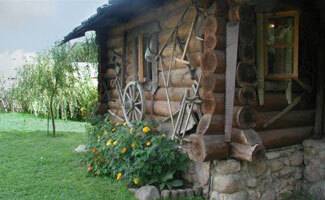 Traditional crafts, like carpentry, pottery, and baking are showcased in old-style wood and hay houses.